The Seventh-day Adventists Church in Caracas, Venezuela, is still basking in the afterglow of what church leaders say was a very successful, week-long series of community activities, which ended last weekend. More than 3,000 church members took to the streets of the capital city to share a message of hope, to bring a smile, and to address basic needs in their communities. “The plan was to reaffirm our commitment as a church with friends and neighbors in each community, demonstrating that God’s love, His word and His power are real,” he added. 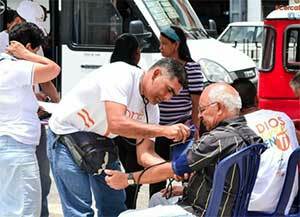 During the historic August 4-10 program themed “Close to You Caracas”, more than 100 liters of blood were collected, nearly 300 trees were planted, thousands of free medical check-ups were offered, dental care was administered, dozens of health prevention and family presentations were held, and dozens of parks were beautified. 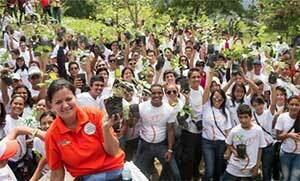 Church leaders and members from the 88 Adventist churches in Caracas worked together to clean up streets, offer free haircuts, feed the homeless, visit more than 1,000 people in hospitals, offer vacation Bible school to more than 3,000 children, offer free aerobic classes in parks and knock on the doors of homes and businesses to invite people to place their prayer request in crafted cardboard cellphones. 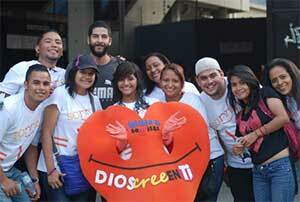 Participants wore t-shirts saying “Smile, God believes in you”. Collecting smiles was part of the week’s activities set off to capture one million smiles in photographs through a social media campaign to continue the church’s contact with its surrounding communities, organizers said. More than 32,000 people connected through social media, organizers said. More than 400,000 pamphlets on health and family and the Seventh-day Adventist Church were distributed traffic lights and government offices, including the national palace. 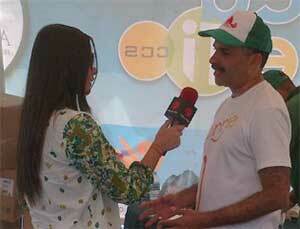 The event was covered through national television, national and local radio stations and the press. 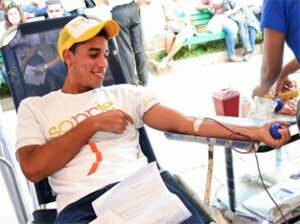 The event culminated on Saturday afternoon, Aug. 10, when more than 6,000 gathered at Plaza Caracas to praise and worship in celebration of a productive impact in Caracas and throughout the rest of eastern part of the country. Focus will continue throughout the coming months in the capital city as urban evangelism continues to take center stage in a city with only 17,000 Seventh-day Adventists. Caracas has about 5.2 million inhabitants. Church leaders are happy to have more than 25,000 contacts from people interested in learning more about the church in Caracas. The East Venezuela Union is one of two major church regions in Venezuela with more than 130,500 Seventh-day Adventists worshiping in 456 churches. 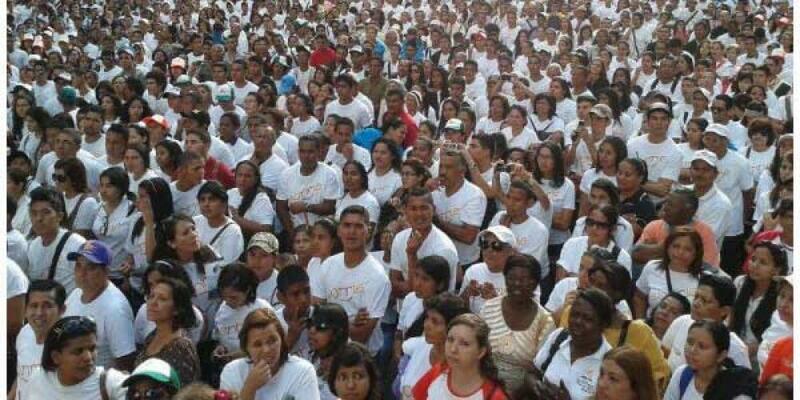 The Venezuela Antilles Union oversees the church in the western part of the country.